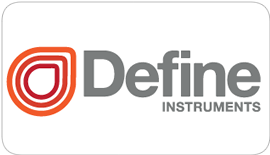 Breaking news Nov 2011: Texmate NZ has officially changed its name to Define Instruments. 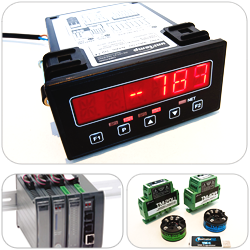 signal conditioners but drop the "Texmate" association. The reason for change is to separate the brand from the historical parent company Texmate Inc, with whom they are no longer affiliated. It’s also an acknowledgment of the fact that that times have changed. 30yrs ago, before the times of "text messaging", we all interpreted the meaning of ‘tex’ differently ..... Time to "Define Instruments"
by Define Instruments to your "enquiry list" & get a quote. Rolla Afrogheh, Sales & Marketing Manager of Define Instruments says: " It was time for a change, and we embraced it! We chose a new name that makes a strong statement about what we do, and highlights the precision and innovative drive that have always been our benchmarks." Define Instruments began in 1997 as Texmate Inc – the New Zealand R&D arm of an American instrumentation company based in California. "People always ask us about the name, so here’s the short version: it was a derivation of ‘Tech’s Mate’. As in, ‘a technician’s best friend’. Kind of corny, maybe, but it made sense in 1976 when Texmate Inc was founded (way before text messaging had even been thought of!)" The first Texmate factory and design office was located in Henderson, Auckland. There, the small but enthusiastic team of engineers began to develop instruments with the customer firmly in mind, always focusing on how to meet the needs of a particular industry without compromising on ease of operation. It proved to be a winning strategy, and resulted in many innovations which are now staples of the global instrumentation scene. In 2005, Texmate officially separated from the US parent company. The team was full of ideas for the small machine PLC market, and wanted the freedom to move in their own direction. It was a bold step, so to minimize the impact on the business, they decided to keep the name, and became Texmate NZ. Shortly afterwards they relocated from Henderson to Rosedale on the North Shore in New Zealand, but they quickly outgrew that location and in 2008 moved again into bigger premises down the road to the current premises in Mairangi Bay. With the explosion of SMS in the early 00's, the name ‘Texmate’ became increasingly problematic, and today, they decided that the time is right to reinvent themselves as Define Instruments. Aside from the name, not a lot has changed. The company is still managed by Anthony Glucina, the principal engineer for the R&D branch of Texmate Inc since its inception. The team is also still growing, and they have recently leased the unit next door to the current premises in order to expand the manufacturing facilities. Most importantly: The engineers claim they haven’t forgotten about their R&D roots. They still love experimenting with new technologies and continue to brainstorm ways to make their products easier to use, more efficient, and more useful for the real people who use them out in the field. If you have any comments, feedback or ideas for the Define Instruments team, feel free to leave them here for a further discussion & to inspire the change you wish to see. View products & get a quote!